THE decision to limit the age of imported used Japanese cars to five years or less by the Consultative Implementation and Monitoring Council (CIMC) and the Transport Department is flawed. Japan has one of the best transportation systems and auto manufacturing industries in the world. It has stringent control over the safety and age of cars that can be allowed on public roads and highways. Therefore, the public and secondhand car dealers must question the rationale behind the introduction of this age-limit requirement. The economic justification for importing used cars is to provide competition to the few established car dealers who have the monopoly over the car dealership market in Papua New Guinea. 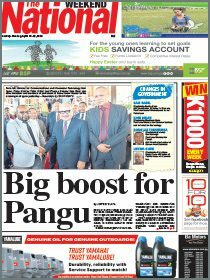 These monopoly dealers squeeze so much money out of car owners in PNG just to pay huge annual dividends to their shareholders abroad. Imposing an age limit will not solve the constant car accidents and destruction of public property such as power lines, street lights, and plant pots. The rapid increase in the use of automatic cars, which are favourable to the many unqualified drivers who sit behind the wheels on the road. Drink driving and phone use while driving on the road, which have been made all too easy with the use of automatic cars. Information asymmetry problem where the owners of the vehicles have full knowledge of the condition of their cars but the authorities such as the traffic police and Department of Transport officials do not. This problem greatly increases the risk to the public and the safety of people travelling in unroadworthy cars. Corruption and bribery between car owners and traffic police and officials of the Department of Transport. This illness allows so many unroadworthy cars, drink drivers, and phone users on the road, creating a major public safety risk. The National Capital District Commission, the Police Department, and Transport Department have not implemented a system to track down and impose fines on drivers that destroy public lights and plant pots, including thieves who steal switches from public lights. To address traffic accidents requires specific actions on the above five causes. 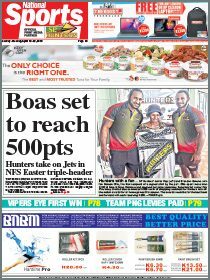 In addition, PNG needs to return to manual cars, introduce a check system where all imported used cars pass a safety test before they go on sale, and introduce CCTV monitoring and a fine system in the cities.